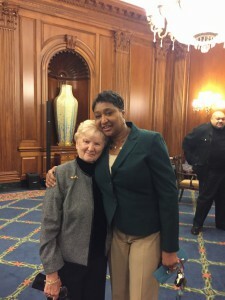 Peggy Sampson, the House Republican Page Supervisor and all-around Page mom, retired on January 5, 2016 after 37 years in the House of Representatives. She began working on Capitol Hill as a Capitol police officer and transitioned to be the House Republican Page supervisor in 1986. 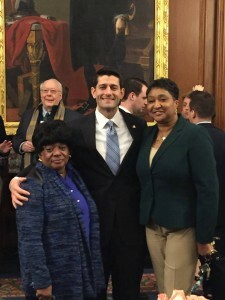 When the House Page program closed in 2011, she worked in the Republican cloakroom as a floor operations clerk. 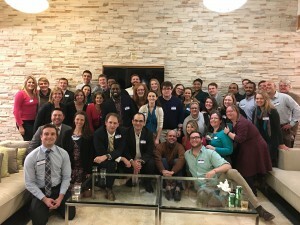 To celebrate her career, Dave Kralik (House, 1996) held a retirement party for her on January 5, 2016 in Washington, DC. Over 50 former Pages from across the decades of her tenure attended, toasted Peggy, and wished her well on her retirement. Dave also developed a (surprise) Facebook page (closed group) that allowed former Pages to leave notes and post photos, which he gave to her at her party.